Product prices and availability are accurate as of 2019-04-18 01:31:22 UTC and are subject to change. Any price and availability information displayed on http://www.amazon.com/ at the time of purchase will apply to the purchase of this product. The 3 in 1 Air Purifier is an amazing air cleaner for large sized rooms. 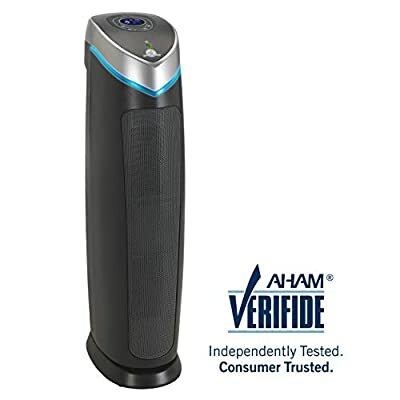 This purifier helps to remove pet dander, dust, mold, smoke, germs and odors as these can aggravate your respiratory system and pollute your household. In Chapter 8 of the Dog Cancer Survival Guide, Dr. Dressler discusses the impact that carcinogens in the air have. We hope this helps clean the air in your house to make it safer for you, your dog and your family.